The Queen of Play cordially invites all regional youngsters to engage in a magical weekend filled with fairytale fun at the National Museum of Play (1 Manhattan Square). 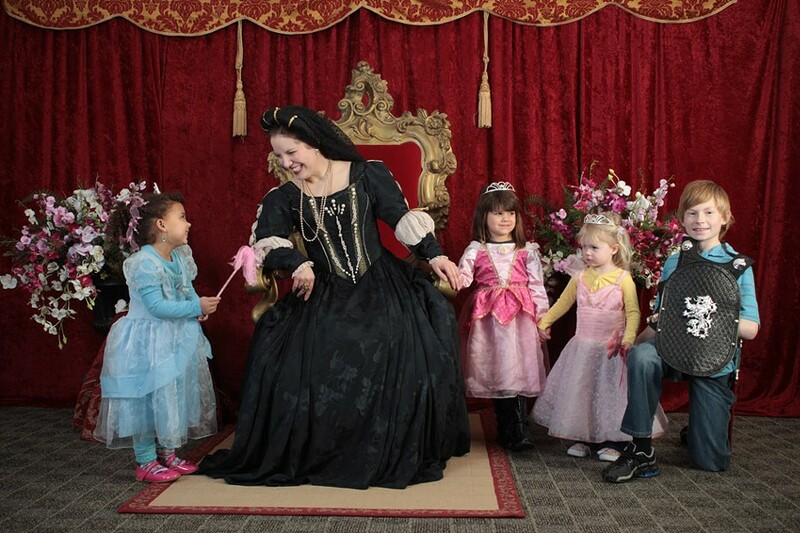 Dress the kids in their courtly best, and bring them to the museum on Saturday, March 2, 11 a.m.-4 p.m., or Sunday, March 3, 1-4 p.m. Kids can play games, make crafts, try on chainmail, and meet the Fairy Godmother in person. On Saturday at 11 a.m., 1 p.m., and 3 p.m., there will be performances of "Beauty and the Beast," a one-act opera presented by Rochester Lyric Opera. All weekend, kids can enjoy dance tunes from Nonesuch Early Music Ensemble, meet and receive autographs from illustrator Nancy Wiley and author Douglas Whelan, enjoy a "feast" at the royal banquet table, receive a bejeweled gift from The Fairy Godmother, create their own majestic attire and adornments, improve hand-eye coordination with Nerf "archery" in Sherwood Forest, tend to the dragons and unicorns in the Folkmanis puppet corner, and have their hair braided at Rapunzel's Hair Salon. All Royal Ball activities are included with general museum admission fee, which is $13 for ages 2 and up, and free to kids younger than age 2. For more information, call 263-2700 or visit museumofplay.org.